We will help identify needed repairs and use our extensive list of contractors to make your home feel like new. Many seniors love their homes and want to remain there for many years to come but problems arise when the house is beginning to deteriorate and repairs or replacements are necessary. Others may have decided to move to a simpler lifestyle. In this case, minor or complex updating may be required to put their house on the market. It can be a challenge to identify the needed repairs and find reliable contractors. Life’s Next Step offers construction management to fit your needs. Our Home Construction Services specialize in helping manage the process of making repairs and renovations to your home. Life’s Next Step will help you with product selection, obtain the most reliable contractors, and oversee the construction process from beginning to end. 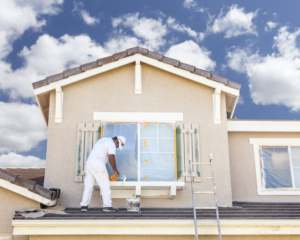 Whether you have an insurance claim, need repairs to make your home market-ready, need restoration to make your home more livable so you can age in place, or simply feel it is time for an update, Life’s Next Step is here to help.